Today (as I write this article) marks Day 20 of my 30 days Day Trading program – which happens to be the last day of the month. This is a new program that I have designed for myself as I prepare to launch my own Managed Account. 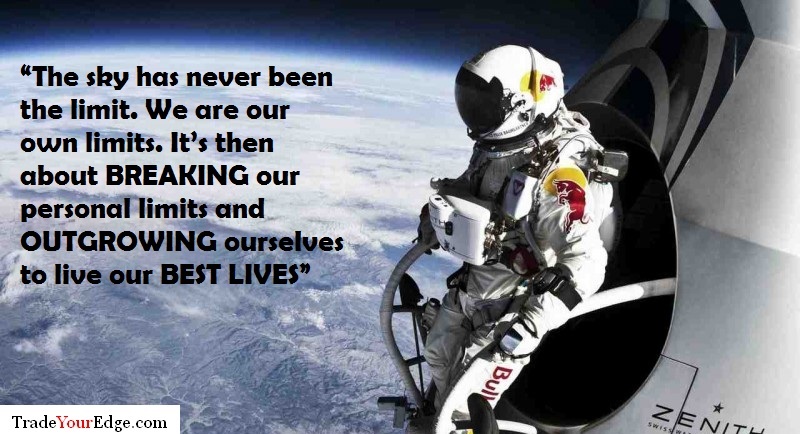 Essentially, I am throwing myself out of my comfort zone to break my own trading limitations. If any of you have the chance to do it, make sure you dare challenge yourself and make sure to do it with a mentor or in a controlled environment. For those of you who are interested, I will be publishing my trading results in July 2016 as I’m still fine tuning my day trading for longer term purposes. Before I started talking about How to Break Your Trading Limits, I thought I should share how I got this idea. At the start of the year (2016), I started the year with a few New Year resolutions and I wrote an article about Making Leap Changes. One of the changes I’m making in TYE was to increase more coaching products so that traders can benefit a wider ranges of what I offer. The other one was that I unofficially announced to some readers that I am starting a new fund in the middle of the year. So, as I approached end of January, I realised that I have to walk the talk and I have to lead by example. If I’m asking readers to make changes, I have to do it myself too. And when I started to introduce my coaching products, I figured that I should share my own experiences as well. Coincidentally, I was still trying to figure out a suitable system for my trading fund – I wanted a fund with moderate risk with decent return. Hence, I decided to go the extreme and to MAKE LEAP CHANGES in my own trading. In the process of it, I created a plan to move back into day trading and, in case you are not aware of it, day trading is something that I’ve not done since I left London in 2012. When I started my fund account, I was swing trading with very specific criteria. This means, on average, I only take about 5-10 positions in a month. On average, my probability of winning trades is lower (I get 3-4 winners out of 10 trades) but I hit home runs when it works. Typically, my winners are about 4-8 times my risk. And that should give you an idea of how I trade. You see, when I moved into day trading, I kept the same USD 10,000 trading account (as this was going to be published) but had much tighter stops for Day Trading. Therefore, my trading positions are much bigger now. 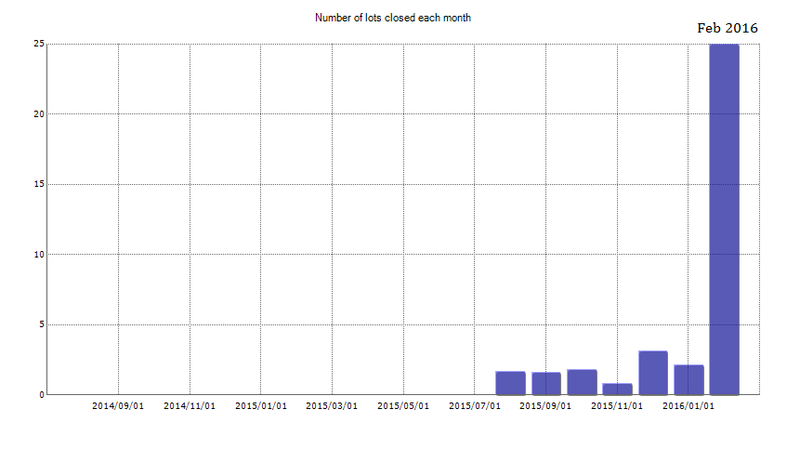 As you can see above, the number of lots I closed in February went off the roof. While the risk I took was the same, the position was multiple in size. And for the trading frequency, I take about the same frequency of trades in a week, as to what I would in a month. That means the amount of money won or lost was much faster and bigger. Volatility in the market has also increased. Just to make my point clear, this is what I meant by making LEAP changes. It was very uncomfortable initially. However, this is not unexpected when you are trying to break barriers to make changes. So instead of feeling uncomfortable, you take charge of it. Disclaimer: The image above was sourced from Google and it’s from the book “The 7 Habits Of Highly Effective Teenagers” by Sean Covey. And this is the main topic that I’m trying to share today. You will get uncomfortable when you break barriers. You will face uncertainties. You will get emotional. You will be challenged. Having said that, I can guarantee this as well – You will grow your trading account. You will see better results. You will be a better trader. These are all the things that will most definitely happen. 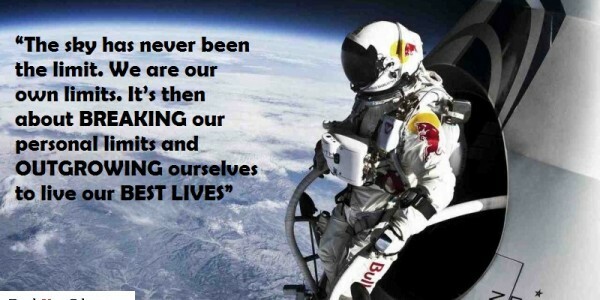 And that’s because you are getting out of your comfort zone and moving into your courage zone. This is where you start to make LEAP changes and to move forward. Some traders like to make baby steps and that’s ok. However, there’s a difference between making baby steps and being too scared to try more. As you read this now, you are becoming more aware of what it takes to make changes, isn’t it? I am sure you are. However, take a piece of paper now (as you read this) and write down these words. Once you’ve written this down, paste it somewhere so that you can read it everyday. Make sure you can remind yourself that you are growing and learn to keep challenging yourself. As I mentioned above, all changes should be done in a controlled environment. This is very crucial so that you can have the right feedback when you make those changes. This is especially crucial because, when you are in your courage zone, you are likely to get emotional. The great thing about being in a controlled environment is that you are already waiting for it to happen. Of course, you may also get some negative self talk and that’s fine too. The key thing is that you are AWARE of it and you are MANAGING it. Designing a good controlled environment is also important as each “experiment” is different. You want to capture all your inputs and all the steps that you have taken in the process of making those changes. At the end of it, you measure your output. Please don’t get the impression that is a suggestion for you to move into Day Trading. This is a personal experiment only. For some, the opposite is also true, test your patience and move into swing trading or position trading where you’ll get far less trades. The objective of this is merely to test my own limiting beliefs and it is not limited to Day Trading. If you are interested in such experiments, please contact me directly, we can work something out or I can help design a relevant experiment for you. When you break your own limitations, this is where you will realise that you can do much more. And when you make those breakthroughs, you are already part of the 5% of traders who can enjoy the fruits of your own labour. With that, I hope you’ll go start breaking new barriers today! Gold – Breaking Out of the Wedge? Euro & Cable Breaking Soon? What do you think are your Trading Limitations? Share here and I’ll see if I can help.